St George’s Park in Burton upon Trent, the English Football Association’s national football centre was the destination for this year’s IRTE conference hosted at the complex’s Hilton Hotel. As in previous year’s the focus was predominately truck related, although for the first time this year, there were specific bus and coach seminars in the afternoon. Kirsty Flatt attended. 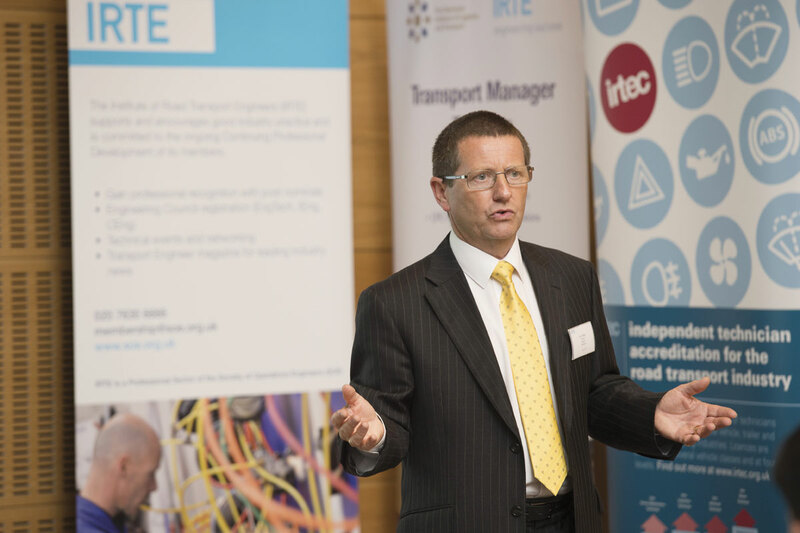 The Institute of Road Transport Engineers (IRTE) Conference 2014 was in association with Transport Engineer, the magazine of The Society of Operations Engineers, and it was its Editorial Director, Brian Tinham, who chaired the day’s proceedings. The official welcome was from the President of the IRTE, Gerry Fleming, who currently represents Belfast and has been a member for almost 40 years. Parliamentary Under-Secretary, DfT Claire Perry’s video message began by recognising the work of the IRTE and assuring delegates that the country is in a period of economic growth. Speaking on vehicle testing she commenting that road safety was a high priority and there were now over 450 authorised testing sites, with over 80% of bus and truck tests now being completed outside of DVSA centres, thereby reducing DVSA costs and down time and fuel costs for the operator. On the subject of pollution and tackling climate change she stated that more than £500m investment is planned for 2015-2020 to focus on ultra low emissions, with the view to establish the UK as a premier centre for low carbon vehicles. 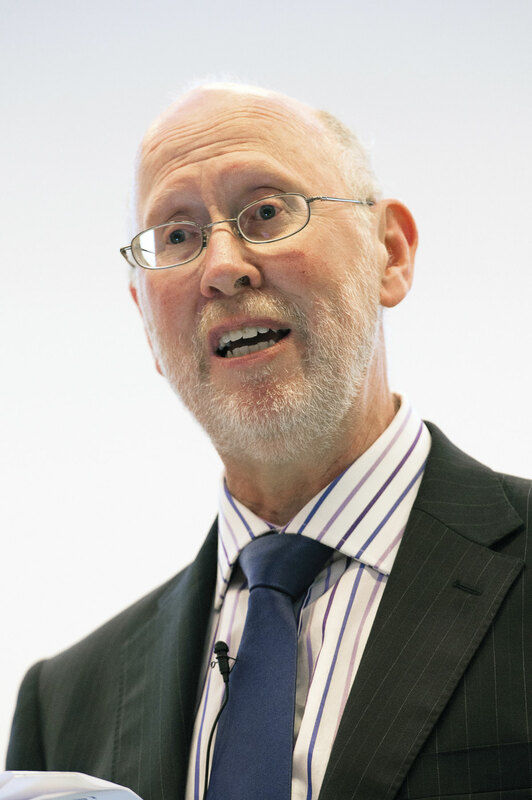 The keynote address followed from CENEX CEO, Robert Evans, who spoke about the Low Carbon Vehicle Event, which Chris Peat covered in a recent issue (B&CB1294, 19 September). He went on to explain the differences with the barriers to entry between bus and coaches and trucks and why the HDV (Heavy Duty Vehicles) industry was comparatively lacking behind. Robert spoke of the limited supply of natural fuel resources and how there is a real need to move away from a straight diesel powertrain, pointing out that the vehicle’s residual value will become such that it would make it virtually impossible to sell on to a second or third user in the future. This led to a presentation on gas use and a bio-methane model, both from the US. He expressed concerns that global cities prioritise moving people over goods and showed a slide of a truck, illegally being driven, albeit in error, down a guided bus way and suggested the prospect of these being made available to HGVs out of bus running hours. Robert closed on the topic of the Mayor’s proposed plans for London’s ultra low emission zone (ULEZ) which will essentially become the congestion charge zone for the capital’s central area and Greater London will then be subject to a low-emission zone outside of this. The proposed ULEZ would come into effect in 2020 and would be a minimum Euro6 standard with zero emissions for some vehicle categories. Keith Gallon, Technical Instructor for Scania gave a detailed insight into their Euro6 engine and how to maintain it. This second generation Euro6 engine uses both EGR (Exhaust Gas Recirculation) and SCR (Selective Catalytic Reduction) technology and is fitted with a DPF (Diesel Particulate Filter) which reduces particulates by up to 99%, with the SCR reducing NOx by a further 95%. The EMS (Engine Management System) automatically cleans the filter whilst running although, should the filter become clogged, the EMS will reduce the vehicle’s torque and the speed to 20kmh where it will then require a manufacturer service. He confirmed in a following Q&A session that to date, ‘no vehicles fitted with a DPF have not been able to be regenerated by the EMS.’ Even with ‘soft driving’, trials in Sweden had shown that the EMS interrupts when insufficient heat has been generated during the course of the drive, to clean the filter. Before the break, principal sponsors Mobil Delvak’s Technical Manager for Automotive, Thorlief Bache, presented a case study on a Danish pig transporter who saved over 3.8% over a year on fuel by switching to their fully synthetic fuel. He also recommended the use of low SAP (Sulphur, Ash and Phosphorus) synthetic oils for Euro6 engines as they can prevent clogging of the DPF and meet or exceed OEM industry specifications. Tony Soper, Principal Engineer – Homologation and Type Approval, Millbrook Testing Ground, presented on the forthcoming changes to European Community Whole Vehicle Type Approval (ECWVTA) which will effect the bus and coach industry from 29 October 2014, when all vehicles will have to be compliant. It will principally affect manufacturers who sell outside of the UK and those who build bodies onto another chassis. In essence, a new vehicle will not be able to be sold after this date without type approval. The object of this is to harmonise legislation across the EC and Tony referred to the ‘world forum for harmonization of vehicle regulations’ and the future policies which they are looking at, including, crash and safety measures, fire prevention and escape routes, more cameras, driver interlock systems and advanced Driver Assist Systems. There are of course, cost implications to this system and provisions are being proposed for manufacturers who do not export or produce a limited number of vehicles, with UK only Individual Vehicle Approval (IVA) and Small Series Type Approval (SSTA). Representatives from the IRTE and CILT (Chartered Institute of Logistics and Transport) spoke of their collaboration to provide comprehensive CPC training to Transport Managers. The courses include, Transport Manager CPC, a two day CPC refresher designed specifically for current CPC holders, and a one day certificate of compliance designed for individuals working in transport operations. 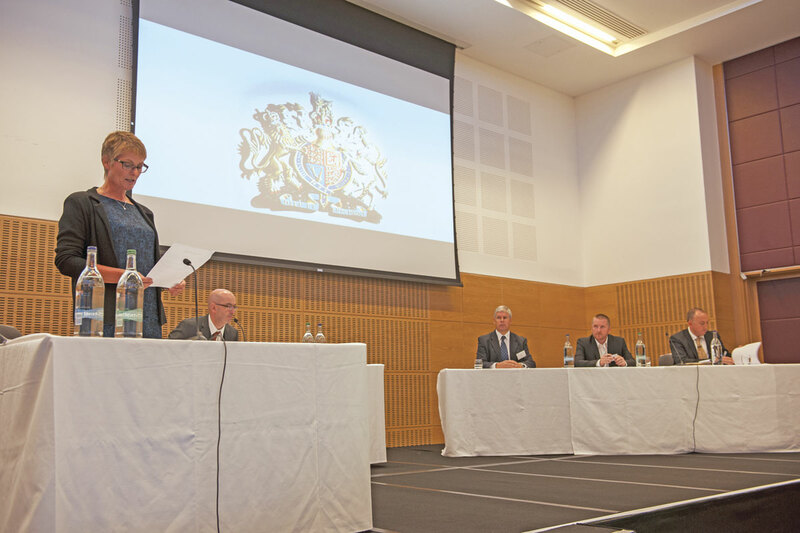 The highlight of the day for me was a mock public inquiry, which was introduced and superbly narrated by James Backhouse of Backhouse Jones Solicitors. The stage was set to represent a courtroom and delegates were given the briefing documents surrounding the case prior to the inquiry. Traffic Commissioner for the North East, Kevin Rooney, played himself, as did VOSA Examiner, Gary Ollis. 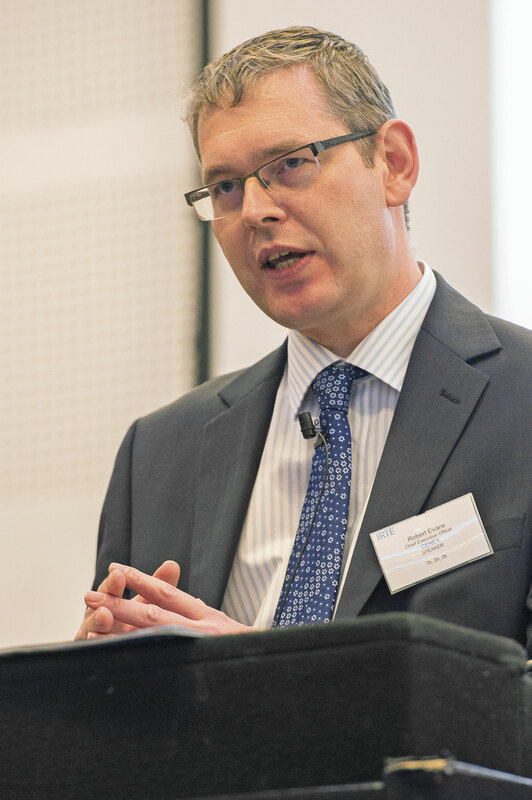 Representing the ‘defendant’ was Andrew Woodfall, Director at Backhouse Jones, with the defendant being characterised by Dave Ashford, Transport and Compliance Manager at KBC Logistics, who played a Director/Transport Manager who ran a fleet of nine vehicles, with O licences for ten. The evidence showed that the operator had been issued with an S marked prohibition notice for a bald tyre, following an on-the-spot check by the VOSA Examiner. On a follow-up visit to the premises it was determined that driver vehicle checks weren’t being completed, two further vehicles were issued with prohibition notices and maintenance records had been falsified. The VOSA Examiner then gave evidence and in turn was cross examined. The Defendant was then asked to the stand where he was asked by the Traffic Commissioner to account for his actions and the history of the company and its subsequent operation was then discussed. Whilst the Traffic Commissioner took time to reach his verdict, James Backhouse explained the possible causes of action that could be taken and asked for a show of hands from the delegates on the various options. Very few people thought that he should have his license revoked and the majority opted for a curtailment (reduction in the number of vehicles he is allowed to operate) along with a suspension from the role of Transport Manager. This was indeed the Traffic Commissioner’s course of action. For those who have never attended a public inquiry or even a court case, it was a realistic and interesting presentation. Lunch gave the opportunity for those attending the conference to visit some of the exhibitor stands in the foyer, which included Pirelli Tyres, Passenger FTA, Disc-Lock and US company Lytx who were promoting their DriveCam, driver monitoring system. The afternoon sessions were split into three categories where delegates could choose the seminars of their choice. Naturally I went for the bus and coach sessions, which were ably chaired by Sir Moir Lockhead. 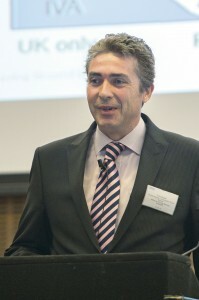 The first was presented by Director of ARUP, John Miles. The majority of the presentation was focussed on electric buses, although it did touch on hybrids. 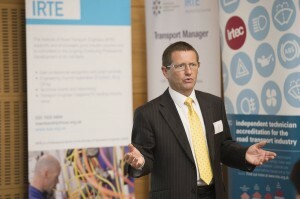 His case study was on the Milton Keynes all electric bus route which came in to operation earlier this year. I won’t go into detail about the system here as Stuart Jones has already covered it in depth (B&CB, 1259, 17 January 2014). John referred to the UK as the ‘World’s greatest congestion laboratory’ and commented on our commitment to reduce CO2 levels by 2050 whilst remembering air quality. In Central London, in Oxford Street, the EU air quality limits are exceeded every day. There is a current increase in demand for the electrification of transport, with more light rail, tram, trolley bus and even autonomous pod systems (like the one currently in operation at Heathrow). City planners love trams but at a cost of £30m per mile, they aren’t always a cost effective option. These systems are popular with the general public as they are perceived to be ‘sophisticated’, unlike a bus. A healthy Q&A session followed. The next session was reminiscent of school physics lessons as we all frantically struggled to recall Ohms law to participate in an interactive fire safety demonstration from Paul Fagan, Director of Forensic Support International. The final seminar of the day focused on biodiesels and fuel additives in a two-part presentation. Eddy O’Reilly is the Commercial Manager for Olleco, a biodiesel manufacturer and the largest collector of used cooking oil in the UK. He explained the processes involved in producing the fuel and some of its advantages and disadvantages. This was then supported by Mieke Mortier a senior chemist from Chevron Lubricants who explained the need for specialist additives that should be used with biodiesels to improve its efficiency and remove deposit build up. Conventional fossil diesel additives wouldn’t be effective because the make-up is different.